At Elemental Blogging, my whole purpose is to share tips and tools for homeschool science, but this blog is not the only one in the cyber-sphere who shares inspiration for this subject. For this week’s Homeschool Science Corner, I wanted to take some time to share with you my top 10 blogs for homeschool science inspiration. The following ladies are an inspiration to me in the blogging world. They are not all homeschoolers and several of them share about more than just science, but each one shares a unique aspect of the subject that I’m confident you will find appealing. 1. Handbook of Nature Study Blog – Barb is a gem in the homeschooling world! I have been following her blog for years now and she still manages to surprise me with little nuggets of nature study wisdom. She shares posts about her nature study adventures and also hosts the outdoor hour challenge. If you are considering adding nature study to your homeschool science plans, Barb’s blog is a must read! 2. Go Explore Nature – Debi does a wonderful job of sharing posts that will inspire you to spend more time outdoors. Her blog’s focus is to help kids connect with nature and she definitely does just that. Every Friday, she shares quick and simple ways to explore nature right in your backyard. This is another great blog to subscribe to if nature study is going to be a part of your week. 3. Inspiration Laboratories – Trisha posts about more than just science on her blog, but she has some wonderful hands-on activities for preschoolers. Her focus is to encourage your children to learn through play, so everything on her blog looks like tons of fun to do. She is a self-professed science nerd, so you can trust that her preschool science activities are solid. If you have a little one, you really need to subscribe to her inspirational blog! 4. Growing a Jeweled Rose – Crystal has shared such a wealth of science-related activities on her blog. If you are looking for an activity to match a topic you are studying, chances are you will find it on this blog. It is a fantastic place to visit to be inspired to add some hands-on activities into your homeschool science plan! 5. Science Sparks – This is a wonderful blog from which to glean inspiration! It is jam-packed with ideas for hands-on science activities. I love how the they are already separated into disciplines, so you can really pick and choose what you need. This is another one of those blogs that you should subscribe to for homeschool science inspiration. 6. The Homeschool Scientist – Marci shares a hodgepodge of science-related posts at her blog. She’s a former naturalist who adds a unique voice to her free printables and science resource reviews. Her blog is a considerable asset to the homeschool science world and it’s definitely worth subscribing to! 7. Wildlife fun for kids – Penny’s passion for wildlife is clearly evident in her blog. She shares nature-related activities and free printables that are sure to spark your students interest in nature. If you read her blog for any length of time you will catch her love of the natural world! 8. Spell OutLoud – Maureen shares about all types of learning, but she frequently has preschool science nuggets that will inspire you. She shares lots of free printables and other activities that you won’t want to miss! 9. Adventures in Mommydom – Ticia shares about more than just her science learning adventures on her blog, but her love of the subject shines through. She is also the host of the “Science Sunday” link-up, so her blog is a great go-to place for homeschool science-related advice. 10.Modern Mia Gardening – Mia shares quite a bit about gardening on her blog and not too much about homeschool. However, she has inspired me to look at gardening as a unique education opportunity. 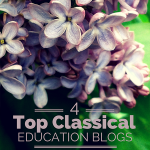 If you are looking to start a garden for yourself or for homeschool science, you need to subscribe to her blog. Did I miss any of your favorite blogs for homeschool science inspiration? If so, let me know in the comments below and I’ll add them to our new “Blogs for Homeschool Science Inspiration” board on Pinterest! Follow Elemental Science’s board Blogs for Homeschool Science Inspiration on Pinterest. 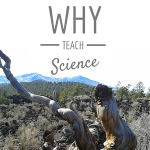 Homeschool Science Corner ~ Why Teach Science? Thanks so much for including Science Sparks, what a great list of blogs to be part of. Happy to, Emma! 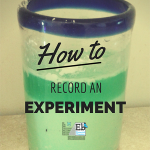 I love all the hands-on science ideas you share on the blog! You might like my website KitchenPantryScientist.com! It’s full of easy science projects using stuff you have on hand. I also have a free iPod/iPhone/iPad app called KidScience app that lets you search for projects by ingredients, time available or age of child. Here’s the link: http://kidscienceapp.com. Liz, I have never heard of your site, so thank you for sharing. I’ll have to check it out. (Palm to forehead) Of course Eva! I have enjoyed your STEM posts tremendously. I’ll be sure to add a pin later today :-). I’m pretty close to speechless and teary-eyed. Thank you for including me in this list. 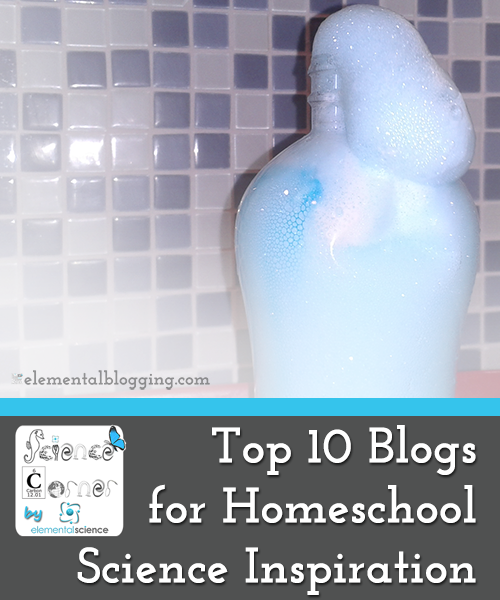 The first 9 blogs (and KitchenScienceApp) have been a huge inspiration to me as we learn science in our homeschool. Thanks for introducing me to a few more via the comments section! I need all the inspiration I can get! Mia, your welcome! I have thoroughly enjoyed your blog since I found it. Glad to introduce you to a few new ones :-). Thanks Cheri for adding the post to your resources lists. It is true that we all are good at something and not so good others :-). Wow! So honored to be included on this list with so many amazing bloggers. Thank you for introducing your readers to my little piece of cyberspace! Your welcome Debi and thank you for writing such a great blog!